All four sides of this product are factory sealed so that it will not fray. Brink & Campman have been producing quality runners since 1897. With over 100 years’ experience within the runner/rug industry, they have produced nothing but high quality products that sit in a class of their own. They are made using the industry renowned combination of 80% Wool and 20% Polyamide yarn, giving the most luxurious yet hardwearing pile available. Wool is a natural product which brings strength, resistance and warmth whilst still being easy to maintain. On the other hand, Polyamide offers something slightly different. Polyamide is a man-made fiber that brings durability and resilience, combining this with the properties of Wool allows Carpet Runners to bring you a high-quality runner that will last. 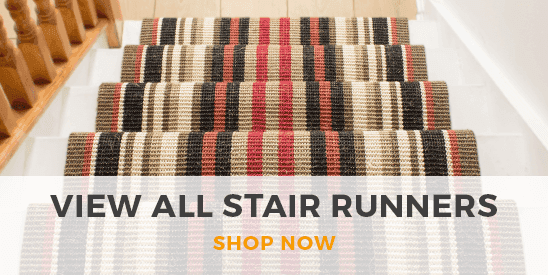 Carpet Runners recommends.... That you purchase some stair rods to keep this stair carpet runner in place. 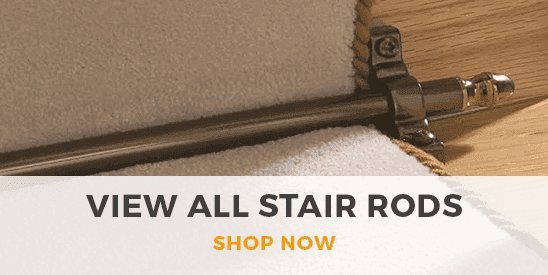 Stair rods not only make the carpet runner look classy and expensive, but they also stop the stair carpet from moving or coming loose. Remember safety comes first when installing carpet on the stairs so make sure this carpet is fixed securely. Don't forget.....! We can supply this carpet runner in literally any length that you want. So if you can't see the size that you want on the listing, please contact us and we will be happy to help you out.